My copy of the May 21 New Yorker got delivered to a neighbor's house, so I've only just gotten around to reading Connie Bruck's profile of Los Angeles Mayor Antonio Villaraigosa. For the most part, it's fairly negative, in ways that are instructive about the current state of political journalism. Not surprisingly, Bruck focuses much more on Villaraigosa's life story and personality than on policy. She portrays him as opportunistic, quite probably a backstabber and someone who expects support without extending much respect to others. Inevitably, she spends some time speculating about what his ambitions for future office might be. The only policy issue that she writes about at any length is his attempt to takeover the city's schools, which ended up as kind of a botched compromise, along with a nod toward gang problems. 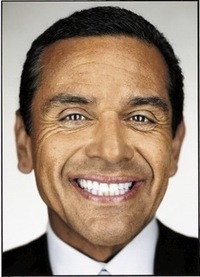 "Villaraigosa is at his best when he uses his personal charm and diplomatic skills to bring contending forces together and resolve a logjam, forging a compromise that results in victories for unions, environmentalists, and community groups that allows the other side to save face," that piece's academic authors conclude. I don't claim to know much about Villaraigosa as a personality; clearly, authors with different takes had no problem eliciting quotes either critical of him or praising him. But, while it would be foolish to expect a publication like The New Yorker to delve too deeply into policy matters, the fact that Bruck loaded the deck in focusing on a failure while ignoring many clear victories says a lot about how writers will sometimes present a public figure in one particular light, rather than trying to achieve three-dimensionality by casting light from all sides.